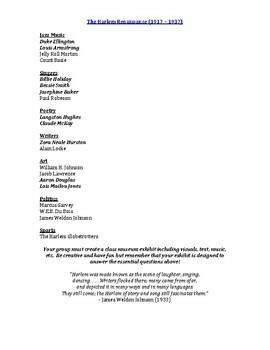 Students will enjoy this collaborative project in which they select an individual from the Harlem Renaissance and create a museum exhibit to answer the essential questions provided. 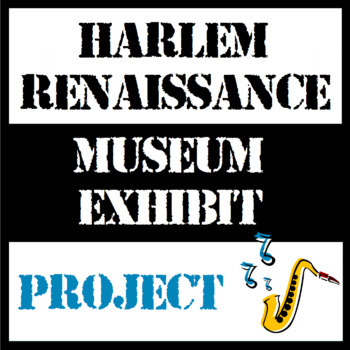 Students are encouraged to be as creative as possible to make their exhibit attractive and to honor the legacy of and tell the story of such influential figures as Duke Ellington, Bessie Smith, and Louis Armstrong. 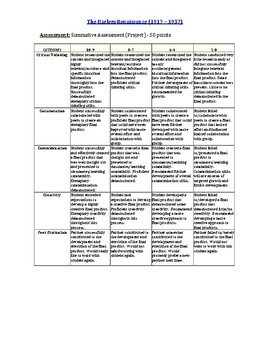 The rubric provided is designed to assess students on critical thinking, collaboration, creativity, communication, and peer evaluation.